If you spend much time building, tinkering or woodworking in your garage or workshop, you'll appreciate having a shop vacuum cleaner around when it's clean-up time. While a good old broom and dustpan will do the job, a shop vacuum can clean up workshop debris quickly, thoroughly and easily. Shop vacuums make quick work of big messes. 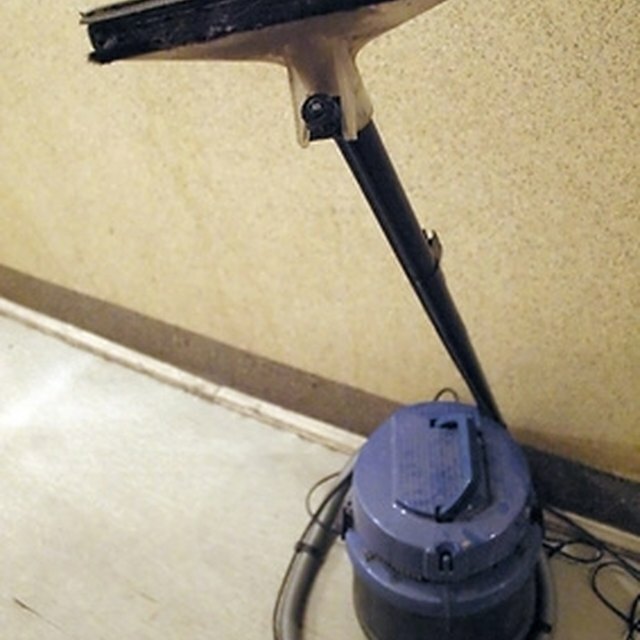 A shop vacuum, also called a wet/dry vacuum, is a vacuum cleaner made for suctioning up bulky debris and/or liquids. While technically you could use a shop vacuum for day-to-day cleaning of your home's floors and carpets, they are not as well suited for this purpose as regular household vacuum cleaners. Shop vacuums are most often used in garages or workshops to clean up sawdust, leaves, grass clippings, wood shavings and other large debris. Shop vacuums can handle large amounts of sawdust and wood shavings with ease. When comparing a shop vacuum to a household vacuum, you'll notice that shop vacuum's hoses are larger in diameter, and their dirt cups have capacities in the gallons. Depending upon the size of the suction head and hoses, you may be able to suction up chunky, larger debris such as wood scraps, yard waste and mulch with a shop vacuum. A handy feature available on most shop vacuums is their ability to suction up liquids. If you've ever experienced a broken water pipe or a bathtub that was allowed to overflow, then you understand why owning a vacuum that suctions up liquids is a good thing. While each model is different, most allow you to switch from suctioning dry materials to liquids simply by removing the dust the filter. While many weekend tinkerers or hobbyists find that light-use shop vacuums satisfy their needs, serious woodworkers often invest in professional-level shop vacuums. These models are more expensive, but are "tool-triggered," which means you can plug your tools into an electrical outlet on the vacuum, and the vacuum will collect the tool's waste as you work. Many online retailers offer a large variety of shop vacuums for sale. As of March, 2011, prices ranged from about $30 for a 45-gallon-capacity model, to more than $900 for a 55-gallon-capacity, professional-level model. How Do Gravity Fountains Work?